← What Does Community Look Like? The Gospel of Mary Magdalene is one of the Gnostic scriptures that was first discovered in the late 19th century near Akhmim in upper Egypt. It is part of the Berlin Gnostic Codex or Papyrus Berolinensis 8502. One of the things that delights me about this manuscript is that it portrays Mary Magdalene as Jesus’ favorite disciple. Many wild theories have been thrown around regarding Jesus and Mary’s relationship, but it is my belief that she was not his girlfriend or wife. Instead, she was an important and pivotal disciple in the life of Jesus and the early church. One of my reasons for believing this is that in the resurrection stories, Mary Magdalene is the first to encounter the resurrected Christ. She also has a hard time convincing the other disciples that what she saw was real. Unfortunately, much of her story is lost to time (the copy of Gospel of Mary Magdalene that was discovered is missing several pages). I also believe that her role as a part of Jesus’ inner circle was diminished in the canonical gospels due to gender bias. If you’ve never read this ancient text, it can be found online at www.gnosis.org. 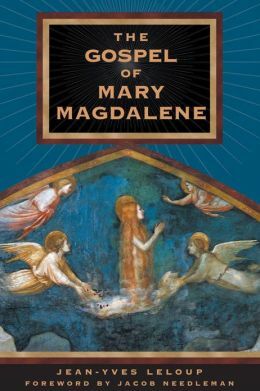 I also highly recommend the book The Gospel of Mary Magdalene by Jean-Yves Leloup which includes a beautiful, clear translation of the text, along with many pages of invaluable information that helps the reader understand the text. The quote above is from the book. I love it because it paints a picture of Jesus as someone who is in touch with nature. We don’t see much of this in the canonical gospels. What he says here resonates with the Wheel of the Year and other and would be quite at home with both Pagan and Wiccan spiritual paths. This entry was posted in Creation Spirituality, Spirituality and tagged Gospel of Mary Magdalene, Jesus, Pagan, Spirituality, Wicca. Bookmark the permalink.